Dain kund trek is off route from Dalhousie – Khajjiar Road but this diversion is worth taking since you will encounter the beautiful views of Himalaya. 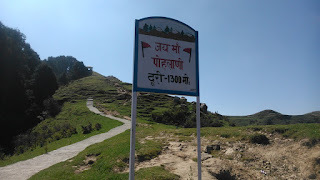 Trek is relatively easy and can be completed in 2-3 hours if you are in hurry and your fitness permits. On Dalhousie-Khajjiar Road there is diversion which goes towards Air Force Station,Civilians are not allowed to go inside the gate and you will have to stop you car/vehicle there itself. 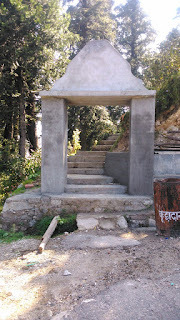 There is slope going upwards through the gate, it takes you to MATA POHLANI TEMPLE. boards as well on the way, at top you can see the temple and scenic view of Himalaya.